BBC Worldwide, the commercial arm of the BBC, has launched a new content marketing team called BBC StoryWorks, sitting within BBC Advertising. 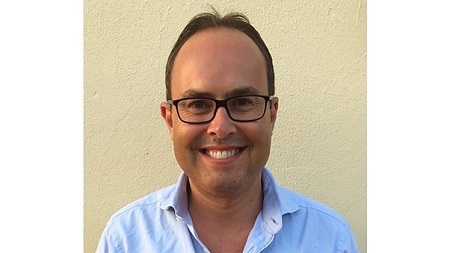 Announcing on the eve of Cannes Lions 2015, the new division will be led by Richard Pattinson, a former BBC journalist with over ten years’ experience, who has been appointed SVP of Content. The BBC StoryWorks team, based in Singapore, Sydney, New York and London, will span the globe. It will be pitched to agencies during Cannes International Festival of Creativity this week, has been structured to function like an in-house creative agency, pulling in resource from existing areas of the Advertising division, as well as recruiting externally for roles including account and project management. With experience working on Newsnight and This Week Pattinson is tasked with bringing “newsroom values into this new content marketing team”. BBC StoryWorks will form part of the wider BBC Advertising portfolio and will work in partnership with BBC World News, Top Gear, BBC Good Food, BBC World Service, BBC Worldwide channels and BBC.com. The BBC.com website currently attracts a global audience of more than 80 million unique browsers per month. Elsewhere, on social media platforms BBC World News’ Facebook page has over 10 million likes and the BBC is the world’s most shared news brand on Twitter. Carolyn Gibson, EVP, BBC Advertising, added: “BBC StoryWorks has been set up to bring BBC editorial quality and values to the fast-moving world of content. It brings together the boldness and innovative qualities of a creative studio with the agility, responsiveness and timeliness of the news room. •	Branded content – commercial content owned by the brand. •	Partnered content – content produced in collaboration with advertisers. •	Sponsored content – content produced by the BBC, with advertiser sponsorship. Recent campaigns include: Brand USA,which promotes tourism to the United States. The campaign saw BBC Advertising create a series of two-minute commercial films, securing major Hollywood movie directors such as Spike Lee, John Avildsen, David Frankel and John Lee Hancock, to share their personal insights into their relationship with a particular city. The commercials ran on BBC World News and BBC.com. In the UK, the team closed a deal with Visit Britain and British Airways, who are running a digital campaign on the creation of a new ‘horizontal’ featuring content telling the story of Britain across BBC.com. BBC Advertising also successfully launched a series of features in association with HSBC, building on the success ofThe Expat Explorer survey. As with all advertising and sponsorship on BBC Worldwide and BBC Global News Ltd platforms, content created in collaboration with the BBC StoryWorks team will be clearly presented as commercial content, distinct from editorial content. The BBC on all occasions retains editorial control and responsibility for all editorial content.